Wraith, 47, has been a head doorman on some of the toughest nightclubs on Tyneside, London and Spain and worked for the infamous Kray twins when they were incarcerated as their business adviser. He trained to become a professional actor and appeared in a number of successful genre films including Rise of the Footsoldier 3 and The Guvnors, and was part of the football fanzine revolution in the 90’s. 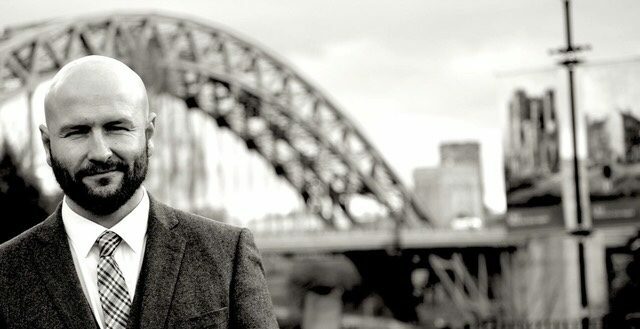 In recent years he has become the North East’s top promoter bringing world renouned names to the North East such as Floyd Mayweather and Mike Tyson. Steve has co-written four bestselling crime books with Stu Wheatman. ‘The Sayers Tried And Tested At The Highest Level’, ‘ Paul Ferris- Unfinished Business ‘, ‘NME From The Bender Squad To The Gremlins’ and ‘The Krays The Geordie Connection.’ He also produced the highly acclaimed documentary ‘Fred’ on the life and crimes of Freddie Foreman with Salon Productions.